Kids didn't have school on Tuesday. We had too much ice. Best call was to stay home all day and clean and cook. Kids had three, big healthy meals. So I felt like I lived in the kitchen all day! Mason decided he needed to clean out the pantry, at least what he could reach. 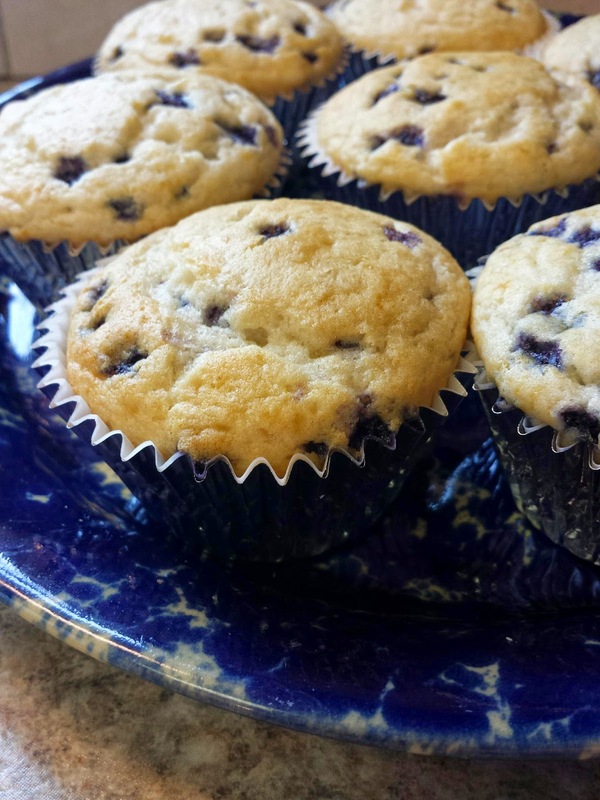 He handed me the Blueberry Muffin Mix. Looked good to me. I made two batches. 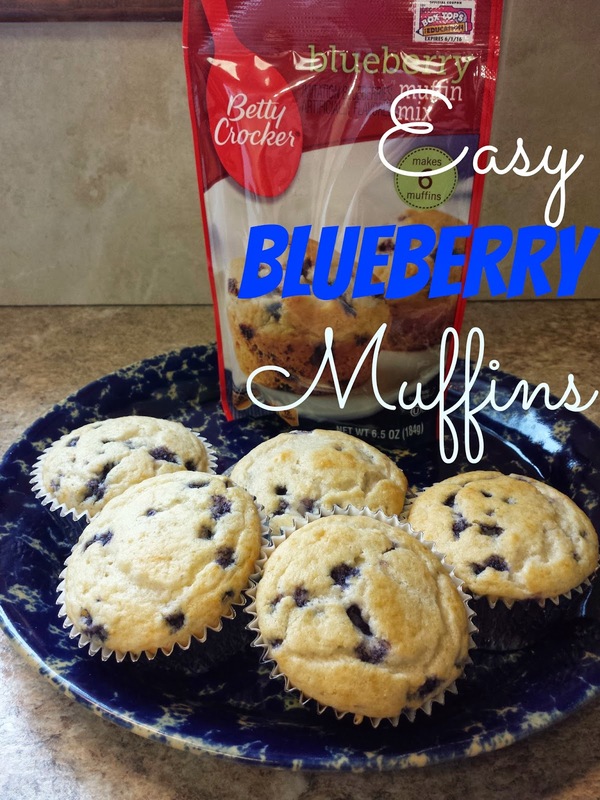 Use the Betty Crocker Blueberry Muffin Mix, add 1/2 cup of water and it was ready to pour in the muffin pans. I thought it would be a great breakfast for on the go, especially Macie. She had ISTEP testing this week, and they stressed sleeping well, getting a good breakfast but she is not a big fan of blueberries! 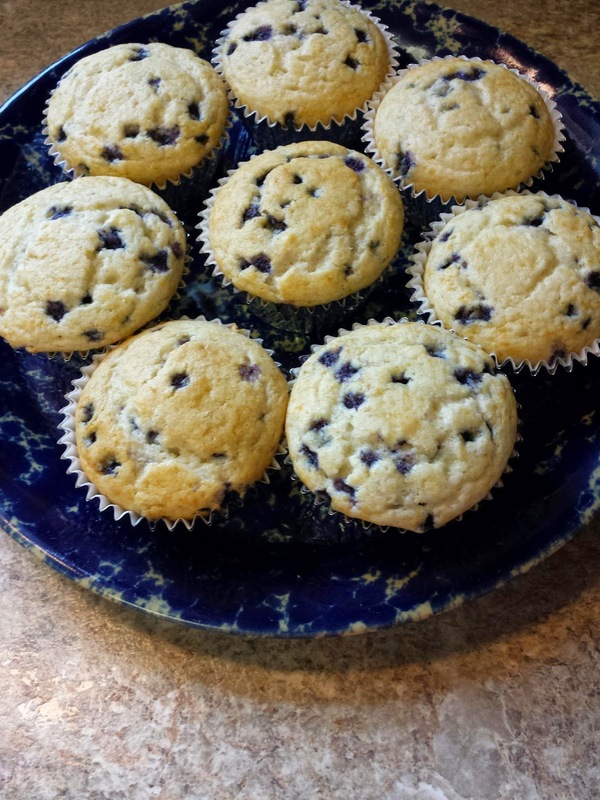 So I am still drooling over these muffins since they are not in my diet, and the kids suggested chocolate chip muffins next time!